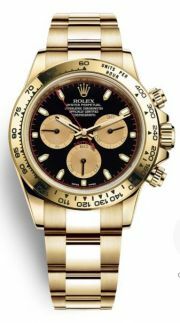 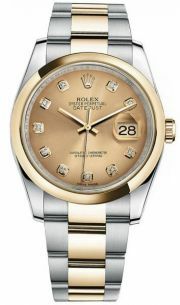 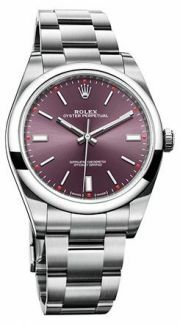 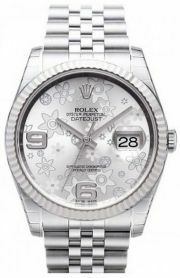 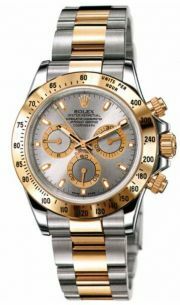 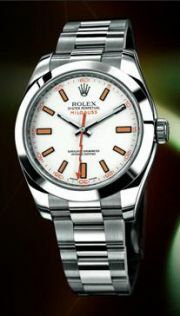 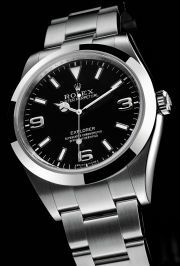 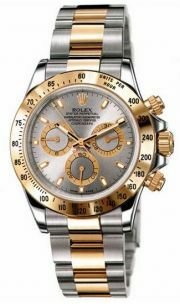 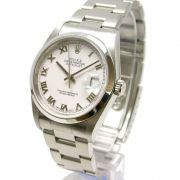 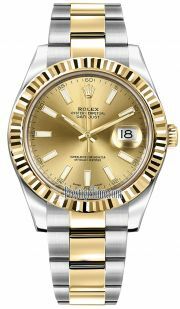 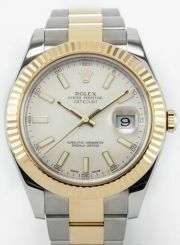 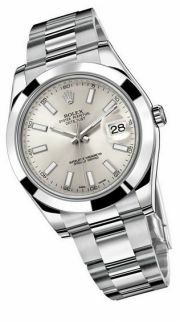 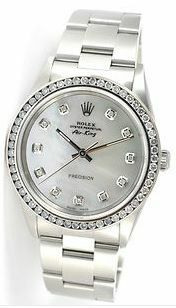 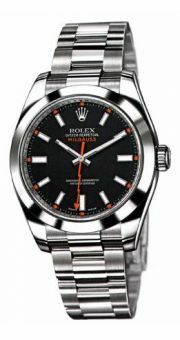 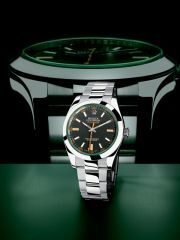 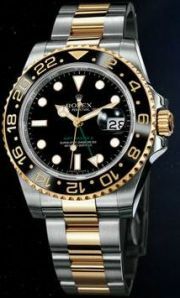 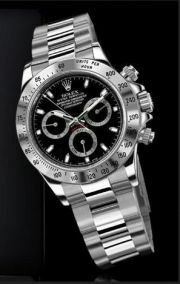 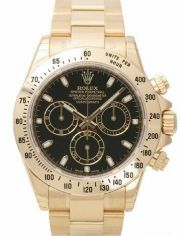 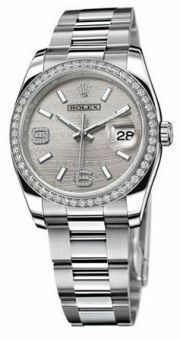 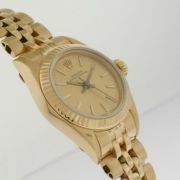 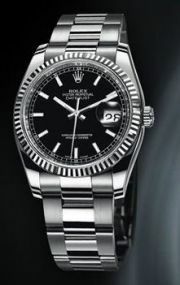 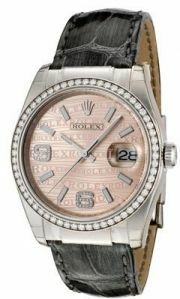 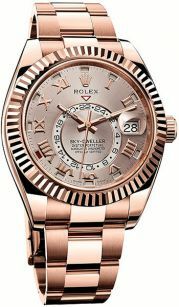 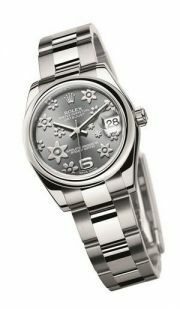 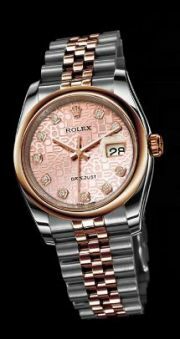 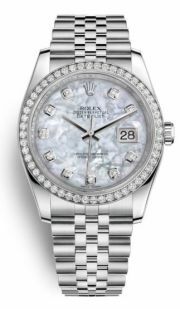 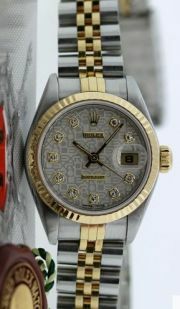 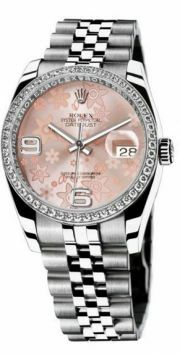 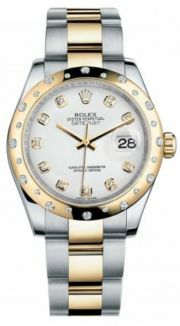 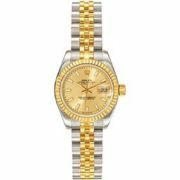 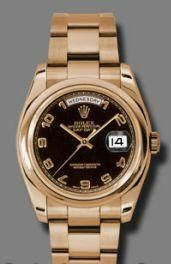 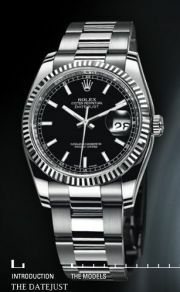 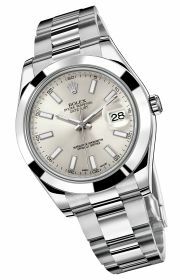 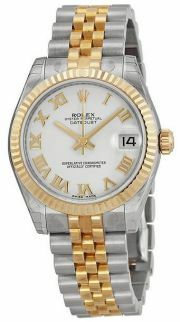 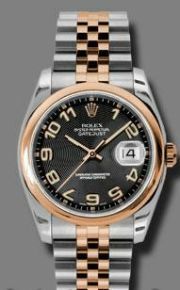 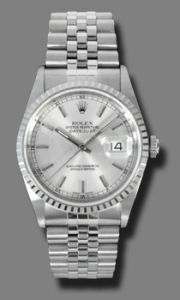 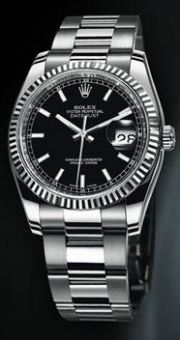 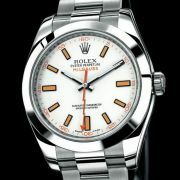 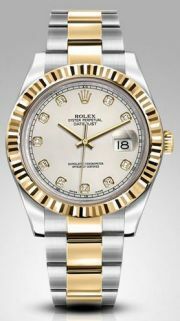 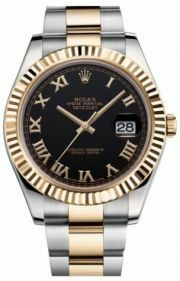 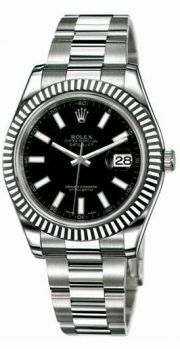 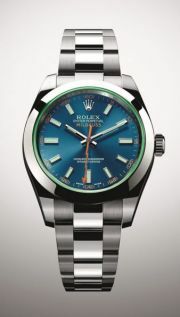 Rolex Oyster Perpetual Day-Date Watch, "The Rolex President". 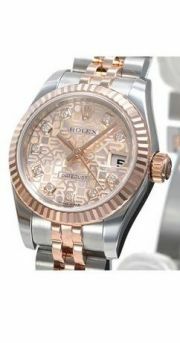 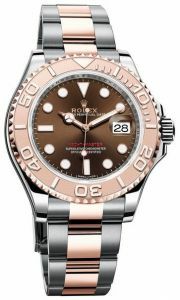 36mm 18K pink gold case, domed bezel, black dial, Arabic numerals, and Oyster bracelet. 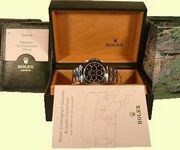 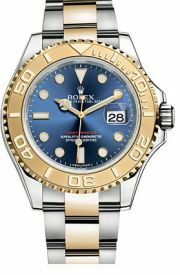 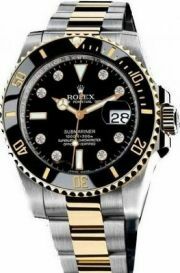 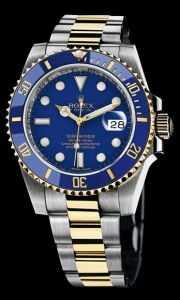 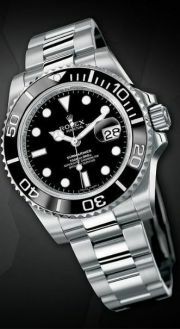 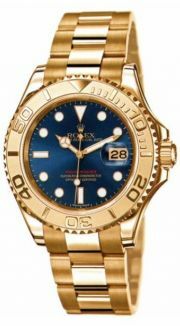 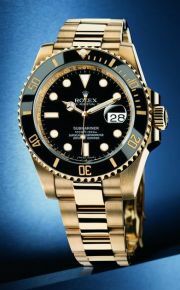 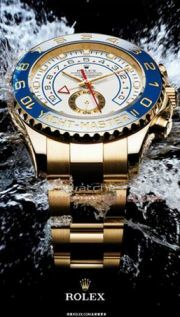 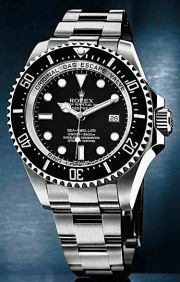 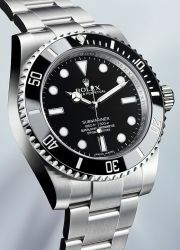 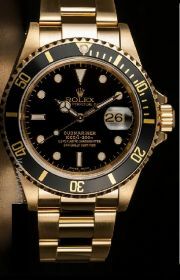 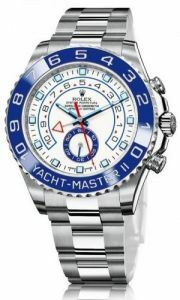 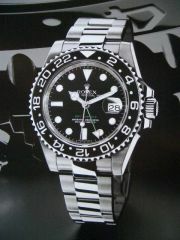 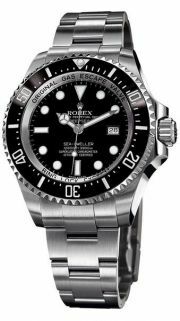 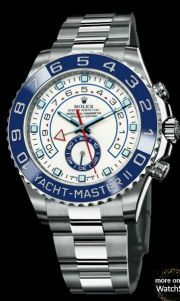 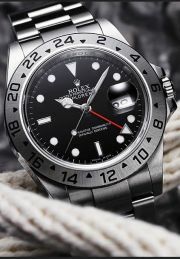 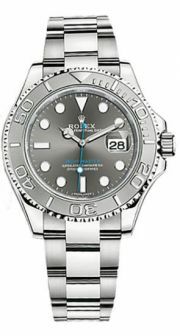 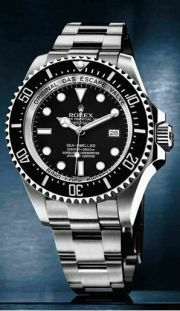 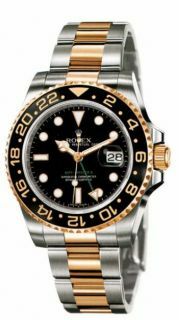 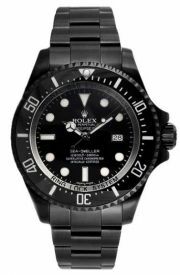 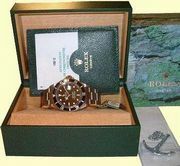 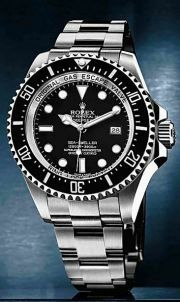 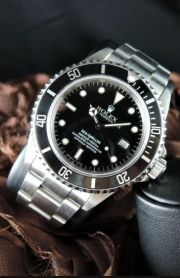 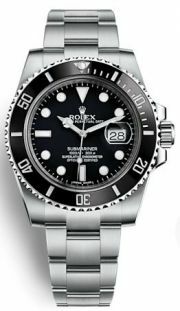 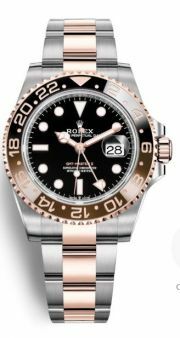 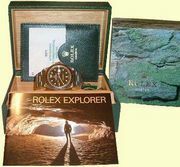 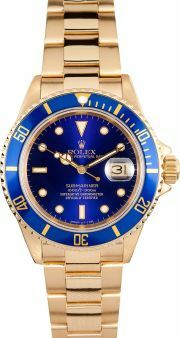 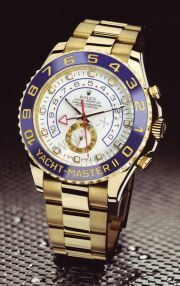 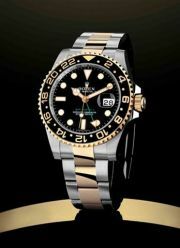 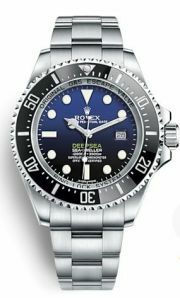 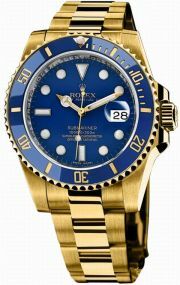 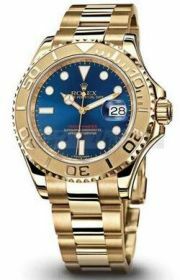 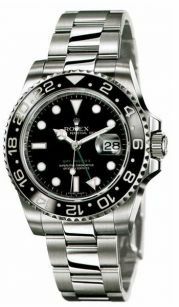 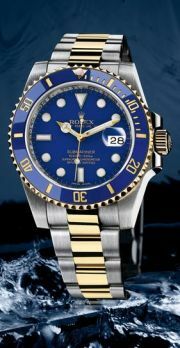 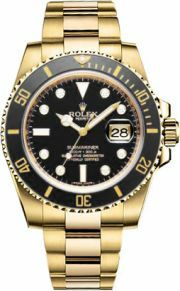 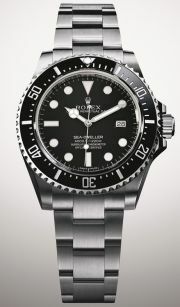 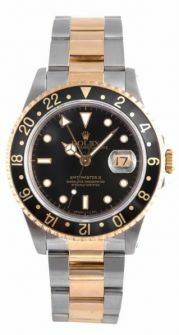 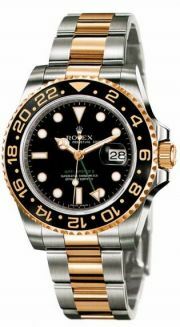 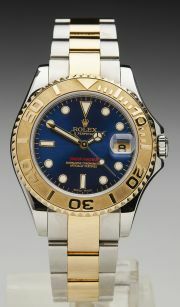 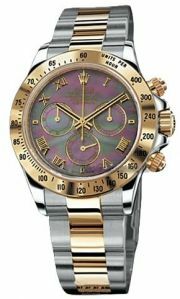 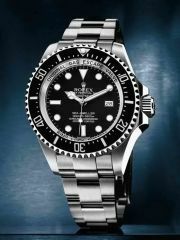 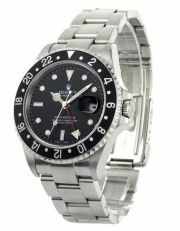 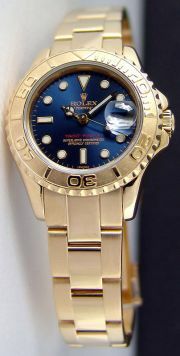 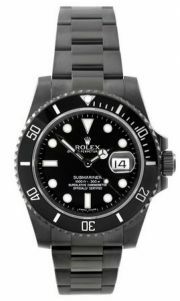 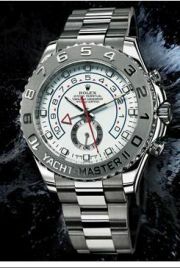 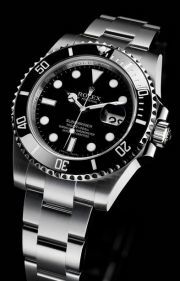 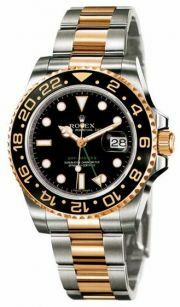 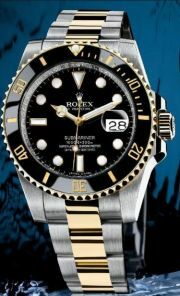 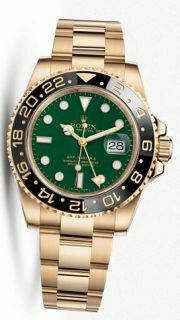 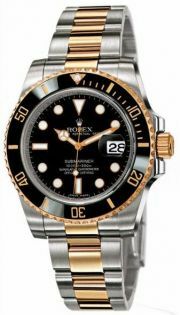 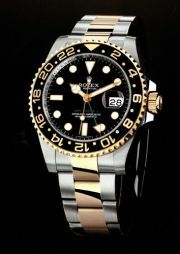 Rolex Oyster Perpetual Submariner Date Watch, 50th Anniversary Edition. 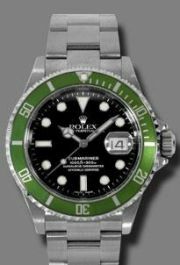 40mm stainless steel case, green time lapse bezel, black dial, and Oyster Fliplock Bracelet. 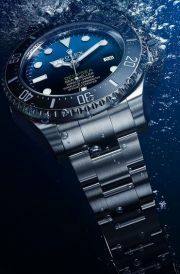 Water resistant to 1000 feet. 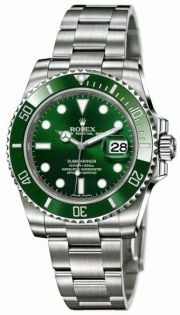 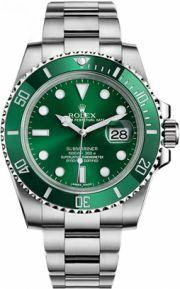 Produced in extremely limited quantities to mark the 50th anniversary of the Rolex Submariner, this rare, special edition Submariner has a unique green bezel and larger hour markers than the standard Submariner Date. 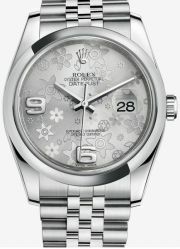 Állapot:új, doboz, papírok , garancia Oyster Perpetual Date GMT Master II, chronometer in steel. 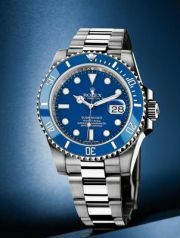 Saphire crystal. 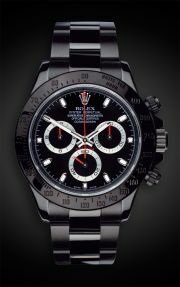 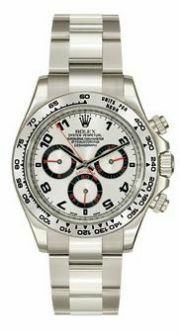 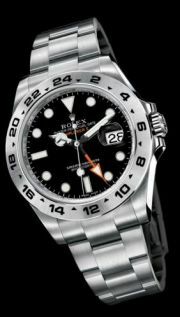 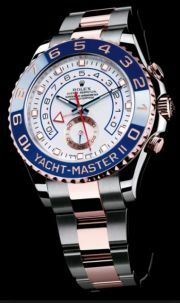 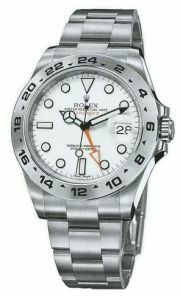 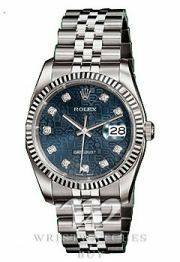 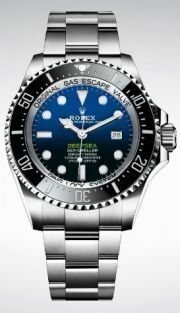 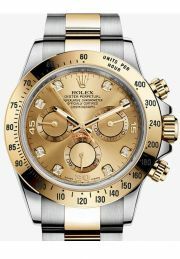 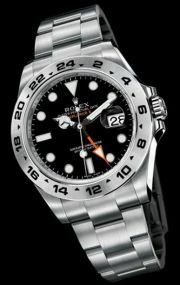 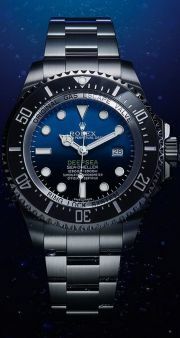 24-hour bezel and hand and independently adjustable 12-hour hand allow simultaneous use of a second time-zone. 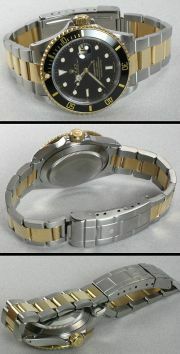 Oysterlock Bracelet. 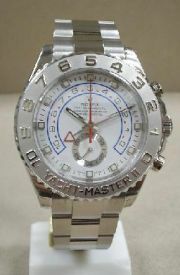 Self-Winding. 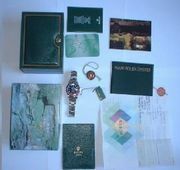 Box and Papers. 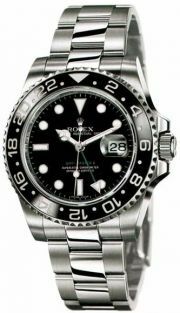 Available with black, blue/red or black/red bezel. 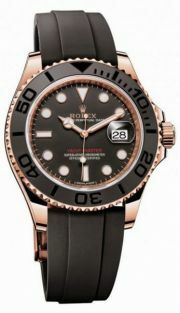 Állapot:új, doboz, papírok , garancia Oyster Perpetual Date Submariner, chronometer in steel. 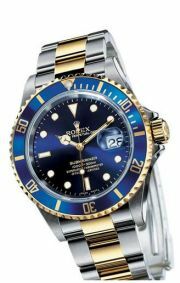 Saphire crystal. 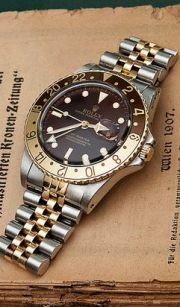 Fliplock Bracelet. 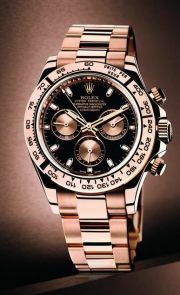 Self-Winding. 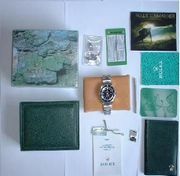 Box and Papers. 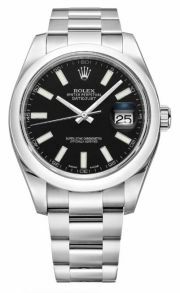 Állapot:új, doboz, papírok , garancia Oyster Perpetual Date Explorer II, chronometer in steel. 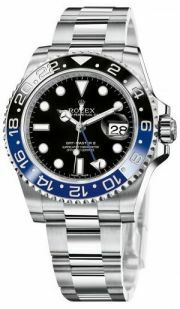 Saphire crystal. 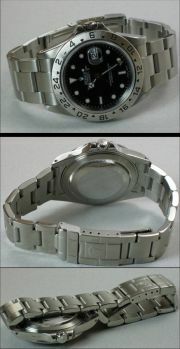 Oysterlock Bracelet. 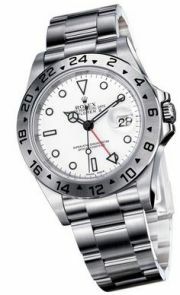 24-hour bezel and hand and independently adjustable 12-hour hand allow simultaneous use of a second time-zone. 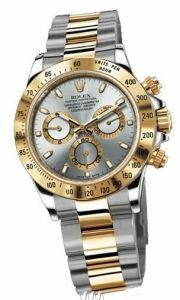 Self-Winding. 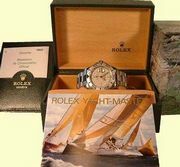 Box and Papers. 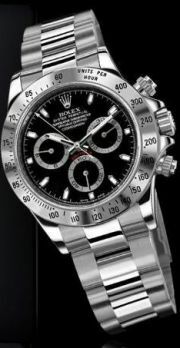 100m/330feet. 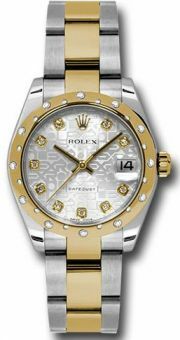 Available with black or white dial.